"Staff are the best, food is exceptional." 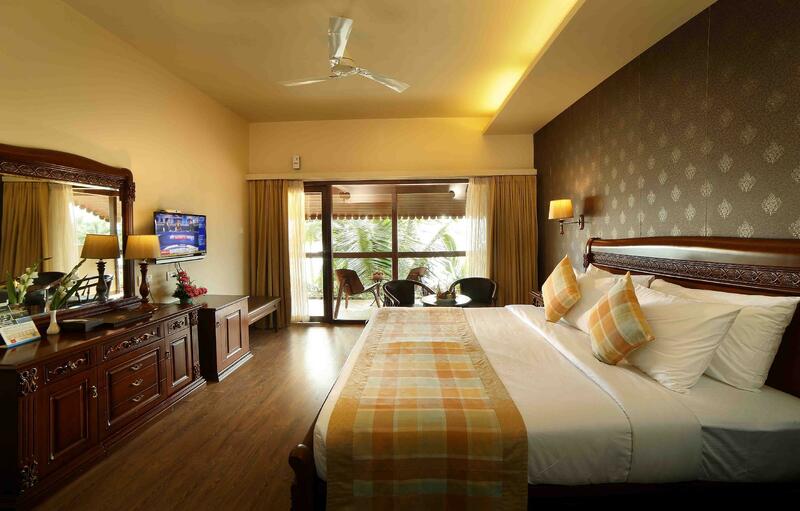 Have a question for Uday Samudra Leisure Beach Hotel? "Pros - decent location - great value (even if you consider this a 4star) - good range of facilities." "Good location, food was good." "Front office helpful - Diljith (Manager) and Felix Spacious grounds and good well maintained swimming pools"
This scenic beach resort, located at the famed beaches of Kovalam, is just 15 meters from the sea. Convenience is further heightened by the location of the railway station which is only 14 kilometers away. Guests will savor a location that is on the famous Kovalam Beach, one of the most pristine and unspoiled in India. Nestled within a charming coconut groove with a pool and beachside dining facilities, this resort is the perfect leisure destination. This intimate, modern beachside hotel offers majestic views and relaxed luxury. The on-site restaurant serves a distinctive compilation of delectable authentic Indian and international cuisines in a delightfully warm ambience. 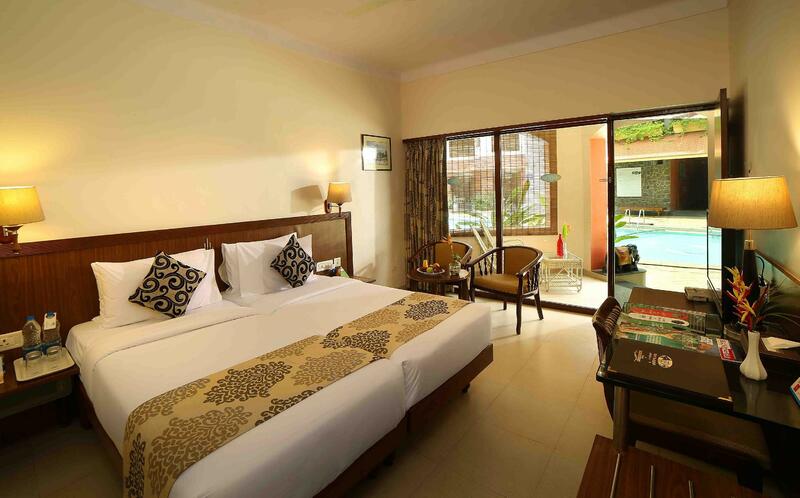 The Uday Samudra Leisure Beach Hotel is the ideal location for guests who want unique rooms, comfortable beach surroundings, and pleasant on-site facilities. "This time i found for Family this is the best hotel to visit..."
Guests must provide a valid form of government regulated identification (eg. passport, ID card, driver’s license, etc.) upon check-in. Domestic guests must note that the Pan Card is not accepted at the hotel as valid identification proof. Staffs were helpful and understanding. Solo female traveller, hence, safety is one of my biggest concern. There are pools, gym and ayurvedic massage in the resort. Great for a short vacation. Room was clean and big. When I arrived at the hotel at 5am, the hotel were not expecting me but as I carried receipts of payment, I was shown to my room quickly. The problem was Agoda, who I would not recommend. I would say the worse internet company I have ever had the misfortune to use. They had not informed the hotel of my payment. The room was clean but in need of updating. However, I was soon given another room, which was very large and superb, with all windows facing the sea. I did not eat at the hotel or use amenities but what sticks in my mind, was the high level helpfulness and friendliness of all staff. Well worth a visit. All my problems occurred booking with Agoda. The booking was a nightmare, as their grasp of English is poor or even zero. I will leave it there, as I want to move on. Even though I travel from Dubai and Stay in Different Hotels. This time i found for Family this is the best hotel to visit with kids as it is very close to beach, very friendly staff and kids enjoy the safety of the premises. The best of all hotels I have stayed in Trivandrum. I booked this hotel with breakfast but hotel said breakfast not in your stay as agoda showed at the time booking and we booked when we received mail confirmation it said breakfast not included I feel cheated. I was there for a night with my wife and two kids aged 5 and 2, hoping to give them a feel of the beach and staying beside it,hearing the tide sounds on and off. But unfortunately the beach behind the property gets deep quite soon and felt it’s unsafe for kids, but they have a coastguard all the time, still they being small kids, wasn’t comfortable. Going to hawa beach from there by car each time,made my whole point of staying there in the hotel baseless. That being said, the property is a wonderful property with three lovely, well maintained pools and neatly managed rooms. The kids had a good time in pool though. The ambience was wonderful and had a good time during the stay. The food was excellent too. But for people hoping to spend time at the beach, this might not be a best choice. Most people seem to find Kovalam after a long tour of Kerala! It is the place to relax! This property is very large and does have many groups stay so be prepared! but they have 3 swimming pools which works out great, an excellent authentic ayurvedic massage centre along with another more conventional type spa. They do have nightly entertainment & it is well suited for families. The location is ideal next to the beach and the staff are really working to give you an excellent service! i enjoy this massive hotel for the freedom of choices! there are 3 swimming pools & the ocean a 3 minute walk! they have an authentic ayurvedic massage centre along with a western style spa. they have a gym which is old & desperate for an update but at least it's there!! breakfast is mainly vegetarian choices but they have fruits, omelettes & local treats!! plenty of activities for families. 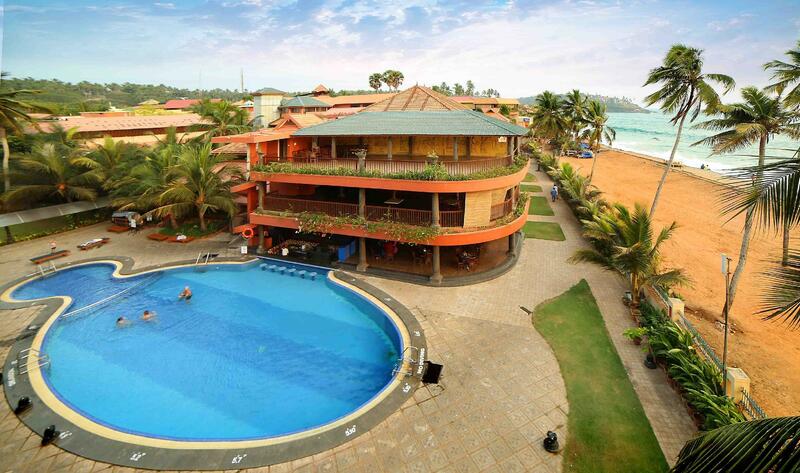 great hotel for holiday makers in candolim beach. 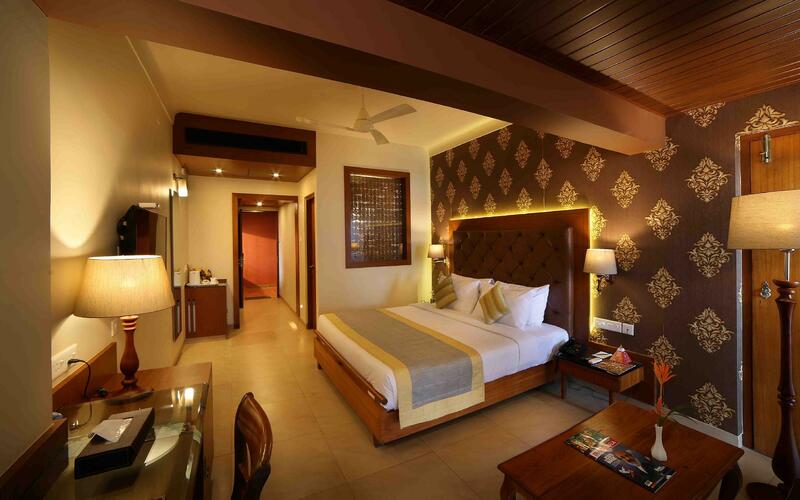 this hotel is only a short ride away from the hustle and bustle of baga beach if you crave more nightlife. booked for 3 nights but extended it as we loved the place so much!! The pros was the sea view from the room was good . The room was dated the bathroom had no ventilation .The drainage system was stinking . We paid 15000 per night for 3 nights for a beach view suite and was not worth it . The food was bad . We ordered room service and tried the restaurants both were bad . The staff doesn't seem to care as u need to constantly need to remind them . The head chef Stebastion is always outside and after numerous complaints about the food doesn't seem to care . The breakfast buffet is total caos cold food and some items get over and are not refilled . Stay clear from this hotel it's good if you like a mediocre stay. We shifted to the Taj green cove after 3 night and wow what a diffrence . Excellent resort, very friendly staffs, good facilities, good food but house keeping can be better. Bathrooms needs periodic scrubbing and areas under the bed, fridge, cupboard etc. Should be cleaned before each check-in. Pros - decent location - great value (even if you consider this a 4star) - good range of facilities. - services are cheap e.g. mini bar, spa, gift shop, room service - amazing massages (highly recommend this even if you are not staying at the hotel) -staff are always quick Cons - its rock "beach" not really any sand on it and nowhere really to sit, still a nice view i guess. - things are really dated, could do with a fresh coat of paint, replacing lamp shades, fixing door hinges and handles (curtain needed a wash) - furniture was worn as well as toilet seat. - I would recommend taking your own towel (and bedsheets), they have the feel of being very old, some of towels had like "perminant stains" in them. When i first arrived i was a little disapointed but by the time I left I was quite pleased. I expected more as the ratings/reviews i read made this sound like a somewhat premium hotel, but its not that, its still a good hotel at very good price. 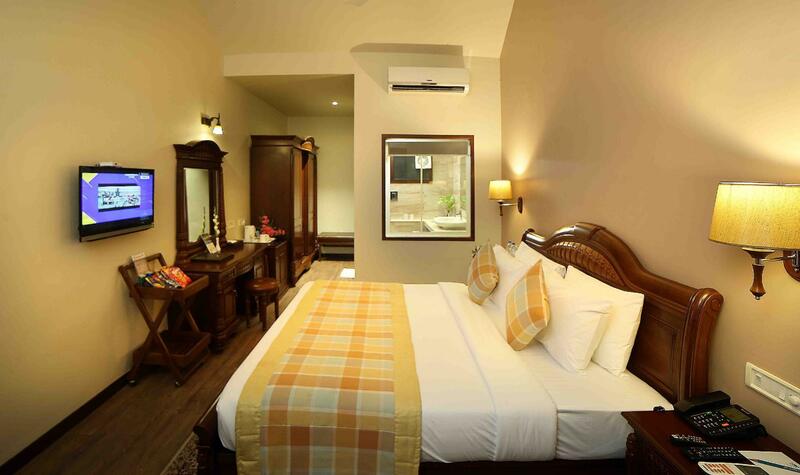 The Uday Samudra is an excellent hotel to relax in, our room was large and clean and comfortable overlooking the pool. The pool was a real bonus clean, cool and very inviting. The breakfast was superb and the service was excellent. We didn't eat in the restaurants because they were a little expensive, but ate in the restaurants around the local area (which were again excellent). Good safe place for family, food was super expensive, coffee and tea was not up to standards, no beach for kids to play, we had to walk nearly 1 km for the beach for kids to play, but in the hotel description it’s mentioned that property is sea facing, yes it’s facing sea but you can not play in the beach you can see sit and watch the tides. Better stay and hunt for food outside. The best part is the hotel doesn’t have enough parking we were parking the car on the road side. Everything was great, the swimmingpools, the food, the rooms, the staff, the sauna and fitness. The only critic I can give is that the WiFi was not always working and not that fast. It would also be nice to be able to use the ping pong table and games after 18h. 18h is very early as people want to play it when the sun goes down. Thank you for the good service! The hotel is lovely. We had a wonderful stay here. Staff were very helpful. Room service was a bit slow took nearly an hour for a pot of tea. The al la cart restaurant serves great tasting food. Everything is clean and well maintained. The place was only 40% occupied when we were there this was caused due to cancellations as a result of the fear of the Kerala floods and rat fever epidemic. They did not offer any price reduction or have any promotion to extend our stay.